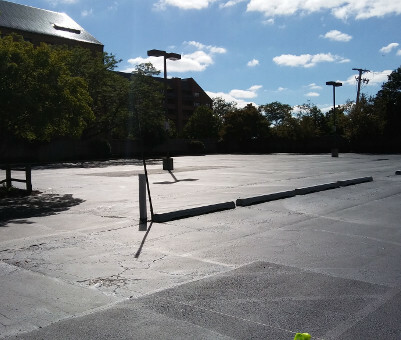 JM ASPHALT SEALCOATING - asphalt contractor is the only name you need to know for all your residential and commercial asphalt needs. Why? Because we take pride and personal approach in every job we do on asphalt . Protect and beautify your asphalt investment by protecting your asphalt from daily elements. By doing some of the following if required. 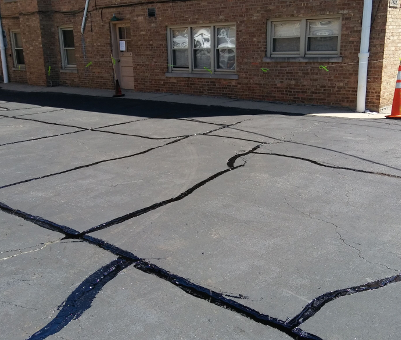 If you have cracks on your asphalt surface, water gets into the asphalt cracks and causes damage to your asphalt. 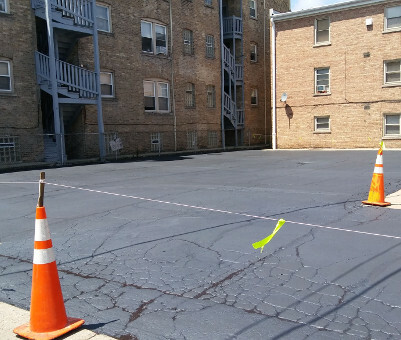 Whatever the case, we can help with any asphalt repair your paving may need. We do the job with the right set of equipment to provide you with a long lasting asphalt paving repair. Do not wait to fix sunken or broken areas, they can worsen and cost more money to fix the damaged area of your asphalt. 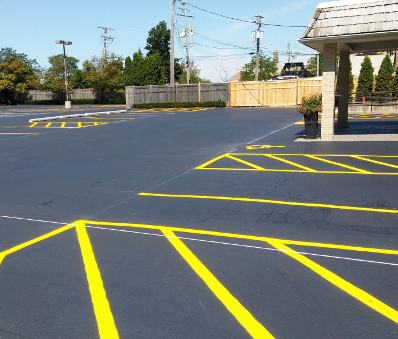 Striping can make your lot look professional. 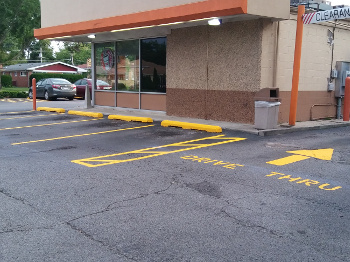 We make sure your parking lot signs and stripes look bright and crisp. 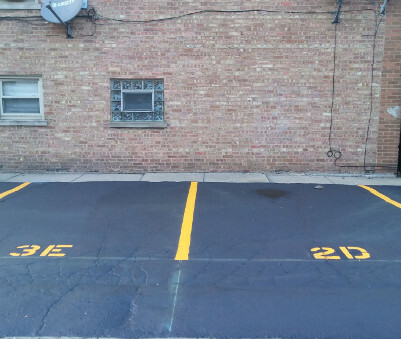 Parking signs and stripes that are visible, making the lot safe. 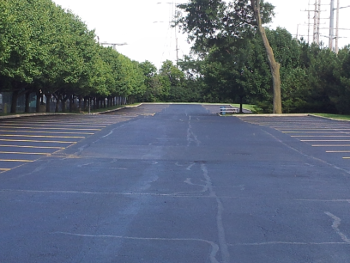 Add years of life to your asphalt pavement by sealcoating it. Sealcoating is applied to help protect it from daily wear and tear. When you go a long time without applying sealcoting to your asphalt. 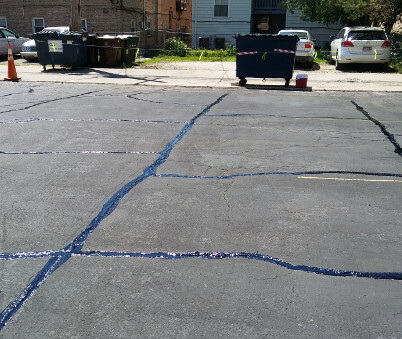 The sealcoating tar on the surface will start to fade and the asphalt will crumble and become like a sponge and will not be able to repel oil spills, water etc…. 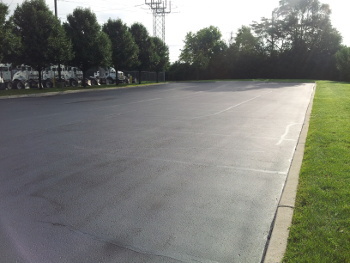 It is a great way to save money by protecting your asphalt from elements. 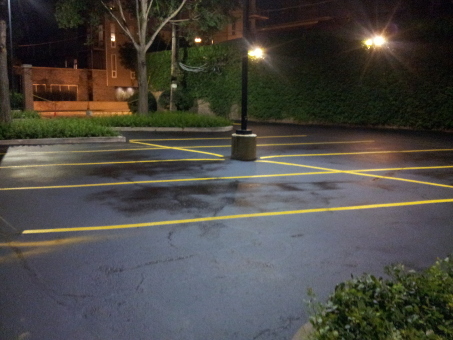 Protect and beautify your asphalt investment with an application of coal tar emulsion sealer. 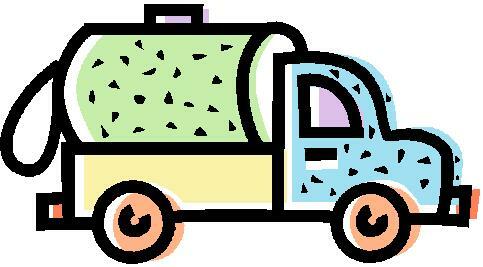 Is your asphalt forming cracks, pot holes, needs sealcoating, striping? 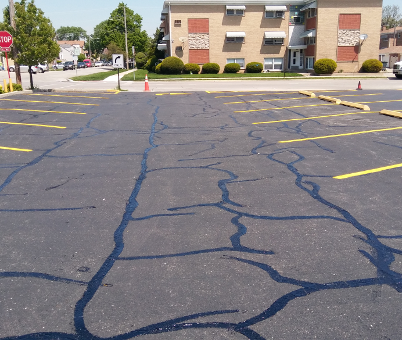 Whatever the case, we can help you with any asphalt repairs you may need. We use the right equipment to provide you with a lasting asphalt repair. Do not wait to fix sunken or broken areas, they can worsen and cost more money to fix. Crack filling will prevent water from getting into the cracks. In winter water will freeze, expand and break the asphalt. 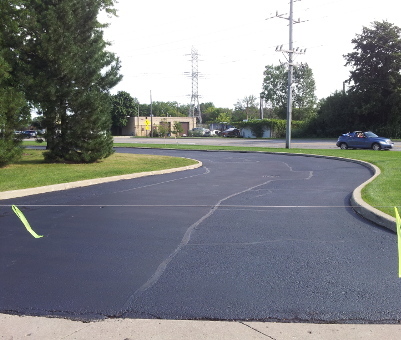 Professional sealcoating is maintenance for your asphalt pavement. Sealcoating is applied to help protect it from daily wear and tear. Sealcoating is a great way to save money by protecting your investment from elements. 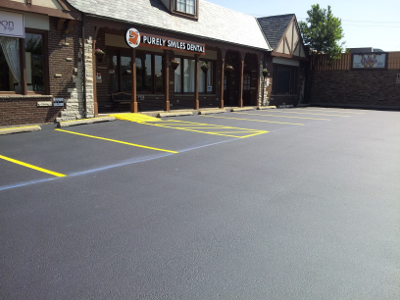 JM Asphalt Sealcoating is the only name you need to know for all your asphalt needs. 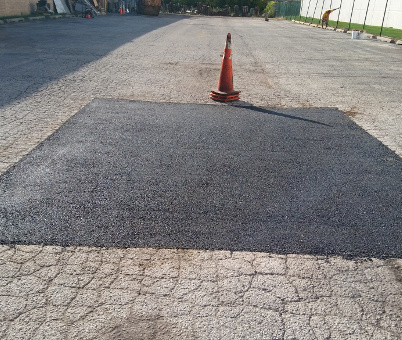 Whatever the case, we can help with any asphalt repair your paving may need. 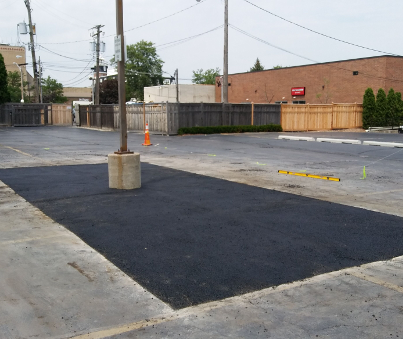 We do the job with the right set of equipment to provide you with a long lasting asphalt paving repair. We use the right equipment to provide you with lasting asphalt repair. Professional sealcoating is maintenance for your asphalt pavement. Add years of life to your asphalt pavement by maintaining it. 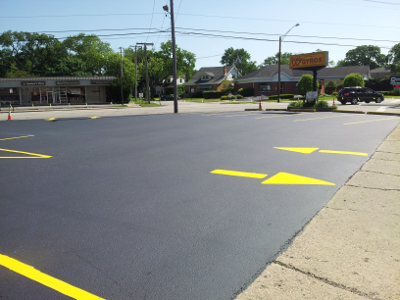 Protect and beautify your asphalt investment.